Palmia Observatory: Get your Astrobites; Some final comments on the 232nd AAS meeting; Why does a solar telescope need 4 meter aperture? ; How does Gaia actually work? Get your Astrobites; Some final comments on the 232nd AAS meeting; Why does a solar telescope need 4 meter aperture? ; How does Gaia actually work? Well, the great time at the 232nd AAS meeting has come to an end and it is time to get back to reality. In this post, I'll go over just a couple of key topics that really grabbed my attention and refer you to a great website that provides a lot of reviews and other astronomical comments. But first, the good news was that on my way back from Denver, just by chance my plane back to OC from Phoenix was the same flight that Resident Astronomer Peggy was on coming back from southern Illinois where she had been for over a month now taking care of her Sister-in-Law, Joyce, following open heart surgery. Now I knew that we were arriving at about the same time in OC, but didn't realize it was going to be the same flight until a couple of days ago. Wow, it was so great to have Joyce recover and to finally see Peggy again after our long separation. Great to have you here again, Peggy! Ok, one of the plenary speakers that I enjoyed was, Dr. V. Martinez Pillet, National Solar Observatory, made a great presentation of the status of the new Daniel K. Inouye Solar Telescope (DKIST), current about 83% complete on top of Mt. Haleakala on Maui. He explained that there are still many mysteries surrounding how the sun, and of course other stars, actually works and how all of the structure of the sun from the fusion in the core to the photosphere and outward further to corona actually works and what physics principles explains how it works. All of this was fine, but I immediately zeroed in on three "contradictions" of the planned design. First the telescope has a 4 meter aperture. What, they can't get enough light from the sun? Second, why then do they place the scope on top of a mountain to get closer to the hot sun? Thirdly, the near infrared (NIR) spectrometer attached to the scope has to be cryogenically cooled? What; well keep it out of the sun then! Theta (radians) = 1.22 * Wavelength / Aperture. So using typical visual wavelength of 550 nm and conversion factor of 206,265 arc-seconds per radian, we can calculate for 4 meter diameter lens we should be able to resolved distances to 0.0346 arc-seconds. Hey, the 4 meter aperture is indeed the right size for that required resolution. And the DKIST is mounted high in the mountains to help minimize the effects of the atmosphere and bad seeing. 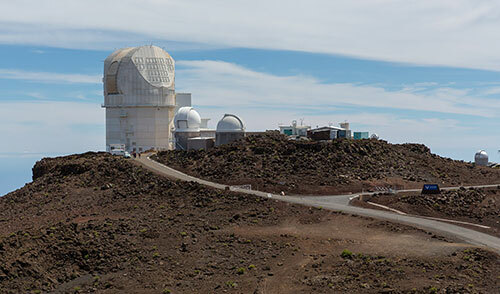 It is true that the major design constraint solar observing scopes is to control the amount of heating of the optical components are directly exposed to the bright sun. Dr. Pillet said that there are three full time assigned thermal engineers to make sure the telescope can remove all of the unwanted solar heat. Lastly, the NIR spectrograph has to be cryogenically cooled because the IR wavelengths being observed are at the same wavelengths given off by ordinary objects at room temperature, so if the measuring instrument was not cooled very low compared to room temperature, the measured signal would be swamped by the noise introduced by the instrument and scope just by itself. I also attended some of the more specialized sessions dealing with the 21cm radio astronomy, which has been responsible for identifying the structure of galaxies and gas clouds, but just recently has been able to detect when the first stars in the universe turned on. Readers can refer to an earlier post of May 15, 2018 for a discussion of the reported detection of this event at 78 MHz RF by J. Bowman, et al. One of the best slides, which many speakers used in their presentations is this on from 2002 by Primack and Loeb. I find this chart really sets out how the frequency of 21cm radiation, red shifted by the expanding universe, can be used to identify the conditions in the early universe from the so called dark ages and the era of so called cosmic dawn. The key thing to note about this chart is how the measured signal at different frequencies is directly correlated with the red-shift at those earlier times in the universe. So for example, the red-shifted signal at about 20 MHz corresponds to red shift = 80 and during cosmic dawn, when the first stars turned on, 78 MHz corresponds to the red-shift at that time of about 20. A red-shift of 20 represents a time in the early universe that was just 1/21 as big as it is now. So if this measurement is confirmed by other observatories, we will know that we can see when the first stars started to generate light. It is possible to measure the signal at earlier times, but these measurements cannot be made of the earth because of too much human radio traffic and because the ionosphere blocks out and reflects signals in this frequency range. This is why scientists are talking about making the measurement from space and even from the far side of the moon. The other main topic that really caught my interest is how the recent DR2 data release from the Gaia satellite is really starting to revolutionize astronomy, as we introduced in the previous blog post of June 6. Also knowing the position and velocity of all of these stars will enable putting more constraints on how much and how dark matter is arranged in the Milky Way. Many presenters talked about some of their preliminary results as their final papers are still in preparation. In addition to the results from Gaia, I especially wondered how it was that Gaia actually worked. It is so difficult to make distance measurements in astronomy and techniques like parallax only work out to small distances. Gaia data releases will detail the velocity and location, down to incredible precision measured in milli arc-seconds and even micro- arc-seconds of over a billion stars, but it was not clear to me how it all worked. 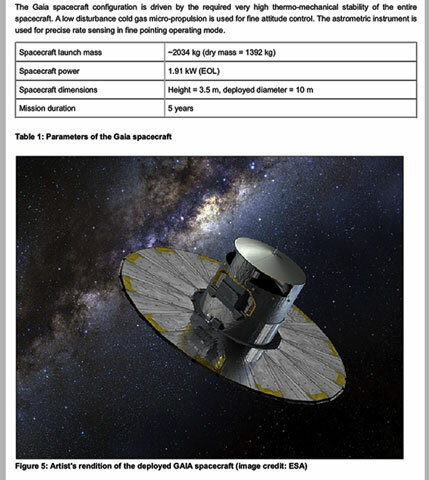 So as part of my homework, I started looking up details of the Gaia project. I noticed one poster that sort of described how it worked but by the time I was able to get back to the exhibit hall, the posters had been replaced with the next sessions worth of posters. But, the internet had a lot of detail, like the page shown below which first of all describes the Gaia satellite itself. It was launched by ESA in 2013 on a five year mission. The satellite has two cameras, positioned at 90 degrees from each other, both of which are at right angles to the satellite spin axis. 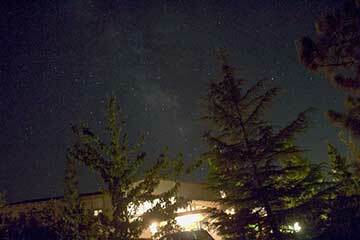 As the satellite spins the two cameras cover different areas of the sky. During its 5 year mission, Gaia will take an image of over a billion stars, with each star imaged about 70 individual times over that period. It is estimated that these billion stars, brighter than magnitude 20, represent about 1% of all the starts in the Milky Way. 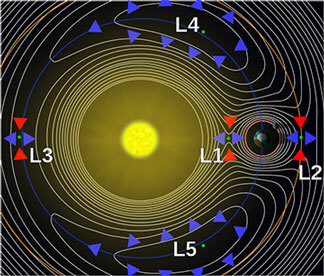 When Gaia was launched it was placed in a spatial location called L2, which is short for Lagrangian Point #2, which represents a position in space between the Earth and the Sun in which the gravitational and centrifugal forces are well balanced and the spacecraft is easily controlled. For instance, you probably can see that point L1 is found to be a place where the gravitational attacction by the sun just barely balances the attraction from the Earth. All the L points off some similar type of benefits for spacecraft. Gaia is controlled to move in sort of a Lissajous figure 8 orbits around L2 so that its solar panels are not blocked by the Earth. It is still pretty amazing to think that still somehow Gaia is able to be moving in orbit and still make these incredibly precise astrometric measurements. Ok, but it is still not clear how the position and velocity of all of these stars is determined. I can imagine that with all of these scans of stars, by the two Gaia cameras, represent a log of data, which can somehow be reduced to star positions and velocities by averaging over the five year period of these observations. 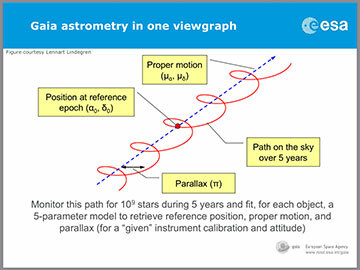 A separate ESA presentation shows how they view Gaia astrometry in one viewgraph. See below. Hmmm, I don't quite get it yet and it seems really hard to somehow combine all of these millions of observations from an orbiting satellite and make the astonishingly accurate map of the Milky Way. There must be a lot of computer calculations and correlations to tease out all the positions and velocities. If anybody out there has a good reference explaining how it is done, please let us know. Finally, the summer AAS meeting did not have the same number of book vendors in the exhibit hall, so I was able to escape with only one book at this meeting. I looked at dozens of books, but this one book on Cosmology for the Curious was the best one I saw. There were many other very good books but most were way too technical for me, even though I am still struggling with the more mathematical versions dealing with cosmology and astrophysics. 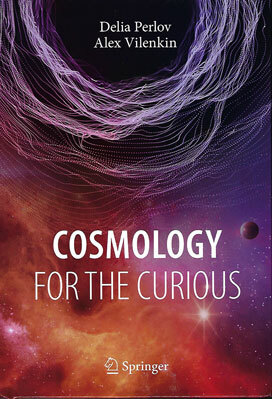 But if you want an easy going introduction to cosmology with some of the history and stories of the people involved, then check out this book. I really like it as a way to fill in the story behind some of the equations in my other books.